You guys know I love skirts. And this tutorial is going to turn your skirt world upside down! 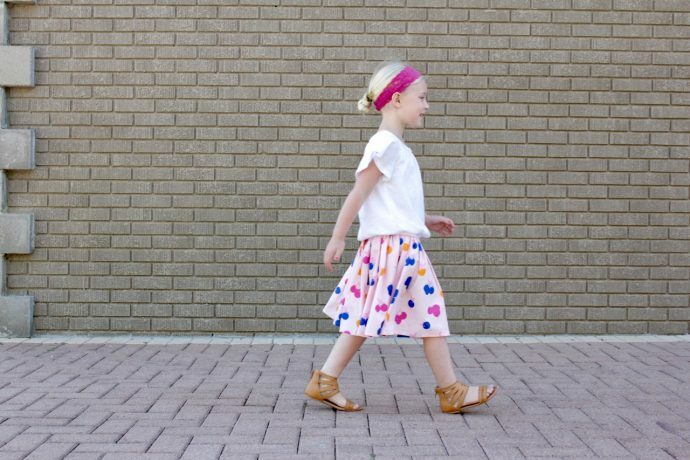 It’s the Anywhere Skirt pattern—but without front buttons—so you get a full gathered look in front! And in the back, we’ll add a small placket, to give it a “secret” opening. I love this look! I’ve done it a few times already here and here. And now you get the gritty details. You can add this placket look to many skirts, using your own pattern. And it’s a fun technique to incorporate into dresses as well! But I’m specifically using the Anywhere Skirt pattern, which you can find in my shop HERE. Start by prepping the bias strip for the placket. 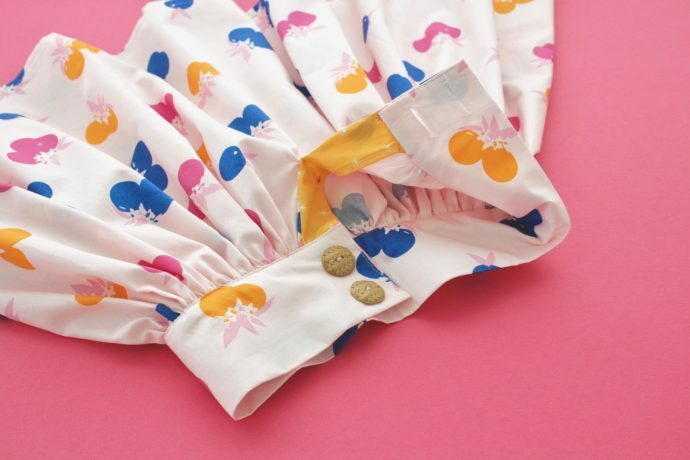 You likely want to use the same fabric as your skirt, so the placket is more “camouflaged” inside. I am using orange fabric here, so you can see the steps more clearly. 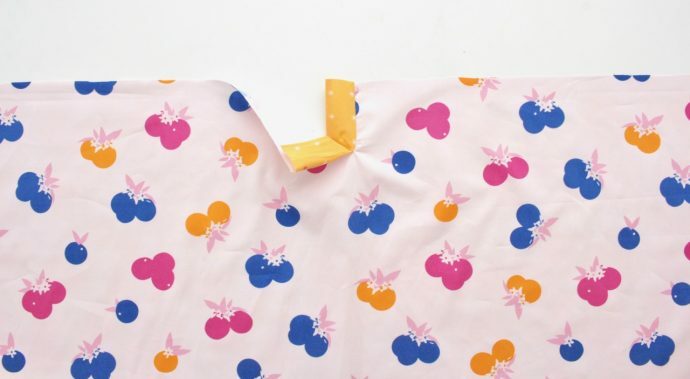 • Cut a piece of fabric for your placket, on the bias. It’s important that this a bias cut, so the fabric has a bit “give” and can be manipulated around the back slit. 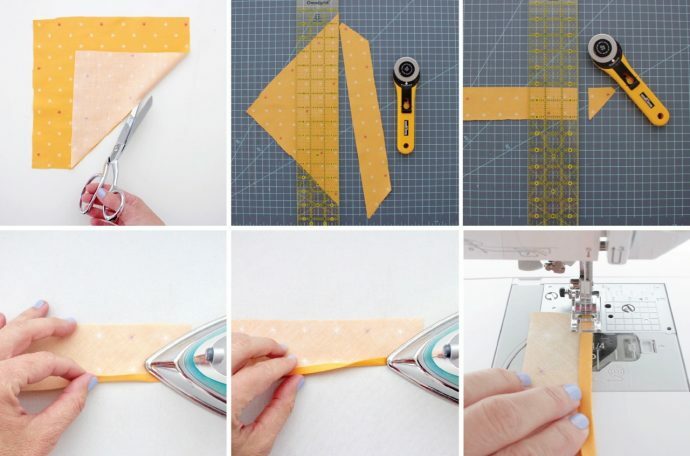 The best way to do this is to cut a 9 x 9 inch square of fabric (13 x 13 for adult). Then fold the fabric on a 45 degree angle and cut, so you have a bias edge. Then cut a 2-inch-wide or 3-inch-wide strip. And trim the angled ends. Note: You can use either size of placket for any age, it just depends how much you want the placket to overlap where the buttons come together. The 2-inch fabric will give you a 1-inch overlapping finish. And the 3-inch-wide fabric will give you a 2-inch overlap. In the original skirt pattern it calls for a 2-inch overlap of the front placket, where the buttons and buttonholes will be. So do whichever look you prefer. It might be best to try a “mock-up” version first to see what you like. 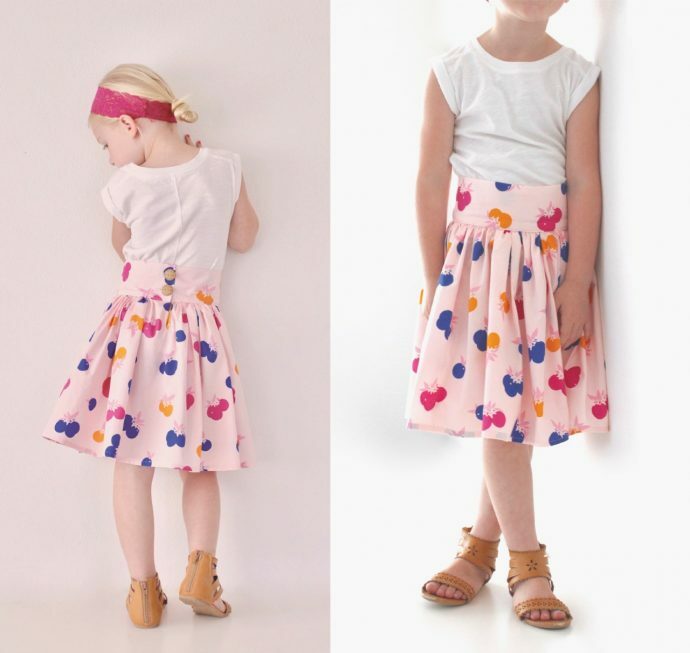 You don’t have to make a muslin of the entire skirt. 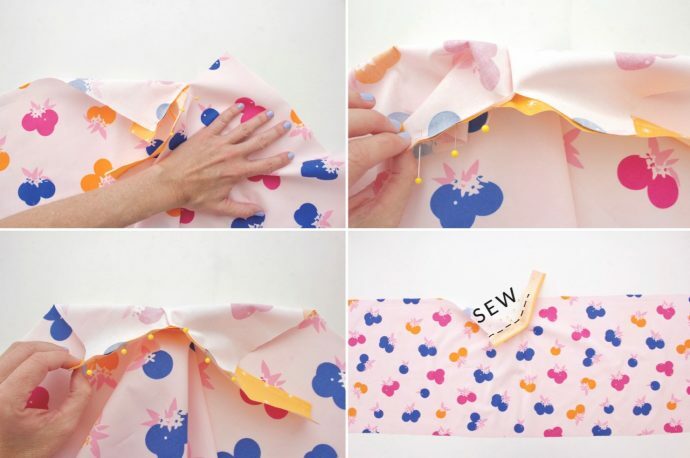 Just use an extra piece of fabric to make a section of the skirt back—following the steps below—before cutting into your favorite fabric. • Hem one edge of the bias strip. Press it under 1/4 inch, then another 1/4 inch, then sew the hem in place. 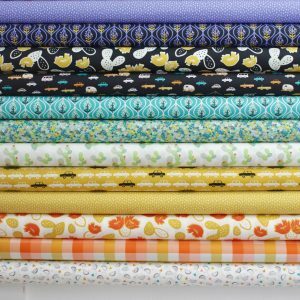 Your placket strip is ready! 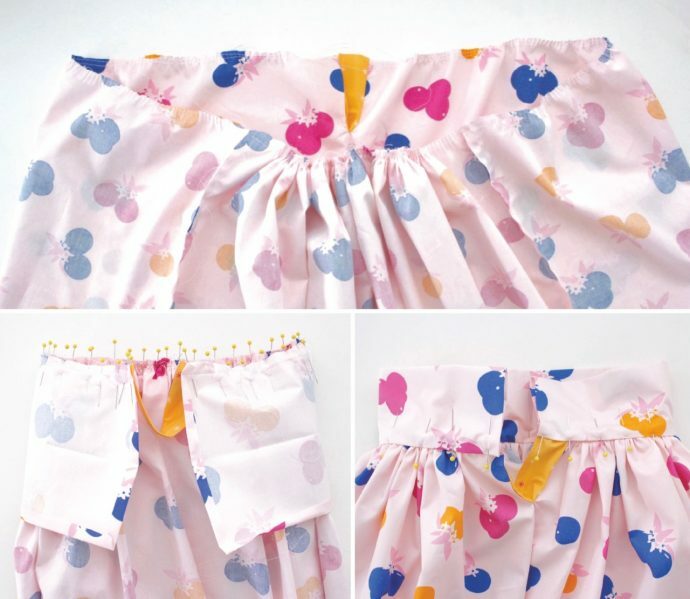 • Cut the Front and Back of your skirt the same dimensions–You are NOT going to cut two front panels, as outlined in the original pattern instructions. The front and back skirt pieces will be exactly the same. 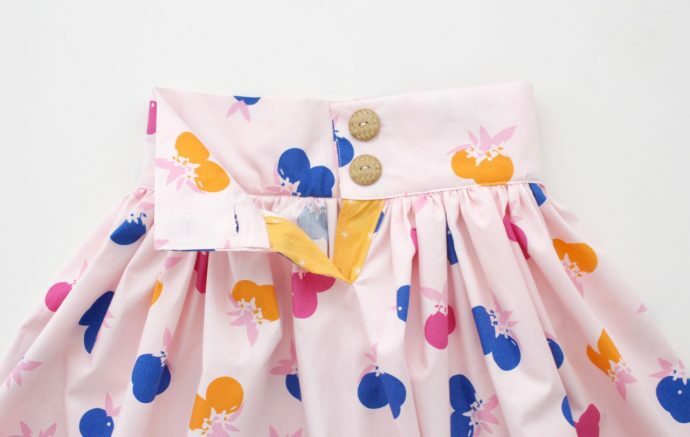 If you want a REALLY full skirt, I made this orange skirt four times my daughter’s waist size. And I love it. 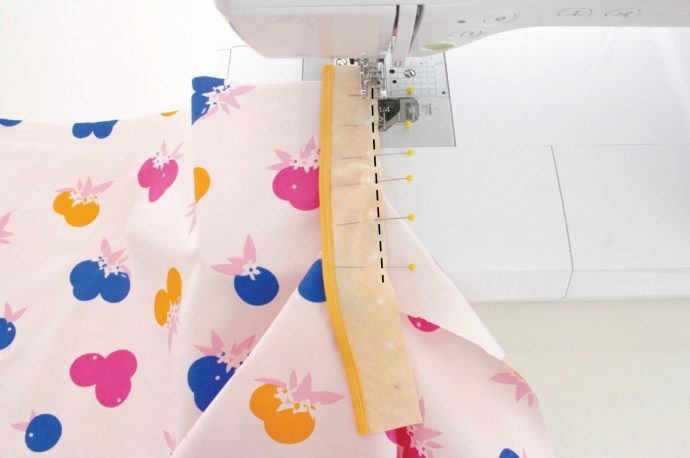 • On the BACK piece of your skirt, in the center, at the top, draw and cut the placket line. 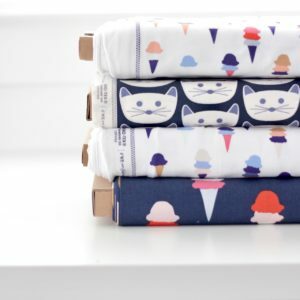 Note: The amount you cut down sort of depends on your hip size (mostly for adults). The addition of the placket gives you extra opening space around the waistband, so you can pull the skirt on and off of your body. For most kids, hips are not a big factor. But for adults, you may need to measure around your hips and see if the waistband opening, plus the placket length is going to be wide enough to get up around your hips (or down over your head/chest). If 4 added inches on each side is not enough, cut your slit longer. But you shouldn’t cut too far down or it will start to look odd. If your slit becomes too long, or if your waist-to-hip ratio is above average, I recommend sticking with the original pattern instructions, and adding a full-button placket. • Attach the placket piece to the slit opening. With right sides together, start at the top of the slit (let the placket fabric overhang an inch at the top, just to give you some wiggle room. Your placket piece is longer than it needs to be). Pin the placket and slit together down the left side, matching the raw edges. When you get to the end of the slit, at the “V”, use your hand to sort of “pull” the fabric straight because you want to the placket to go down one side and back up the other, in one “straight” line. So, pin the placket across to the other side of the slit, as shown in the photos below. This step may feel awkward. Just do your best! • Sew the placket in place, using a 1/8 – 1/4 inch seam allowance. This can feel awkward as well, so refer to the photos in the next step for more info. Sew down the first side. When you get to the bottom of the slit, keep your needle down in the fabric and pivot and turn your fabric. Use your left hand to help “pull” the fabric up and to the left as you turn, so fabric is not bunched up at the pivot point. Then sew down the other side of the slit. Go slow and just do your best. 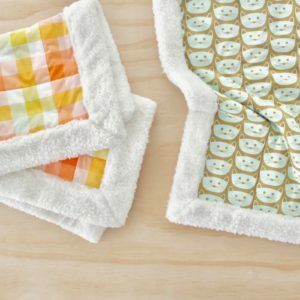 If any fabric becomes folded gathered in the process, you can pick out those few stitches and re-sew. • Clip in the “v” of the slit to give more ease. Be careful! Only make small clips so you don’t cut into your stitches. • Trim the excess placket fabric, so the edges are flush with the top of the skirt. • Fold the placket fabric into the slit and press with an iron so the placket folds up on itself. And look at what you’ve already done! You added an extra opening in your skirt. Totally cool. 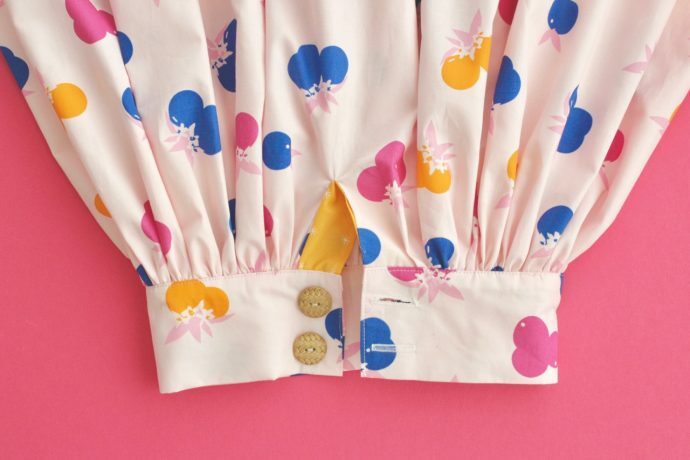 • On the left side of the placket (where the placket folds under the skirt) sew the top edge of the skirt and the top edge of the placket together, so they stay together. NOTE: Your placket can open on the left or the right side…it just depends on which way you fold the placket into your skirt. Do whichever side feels best to you. Now the Back piece of your skirt is ready! Tag your photos on instagram with #anywhereskirtmade. i love it, it’s so cute ???? HAPPY.DANCE. 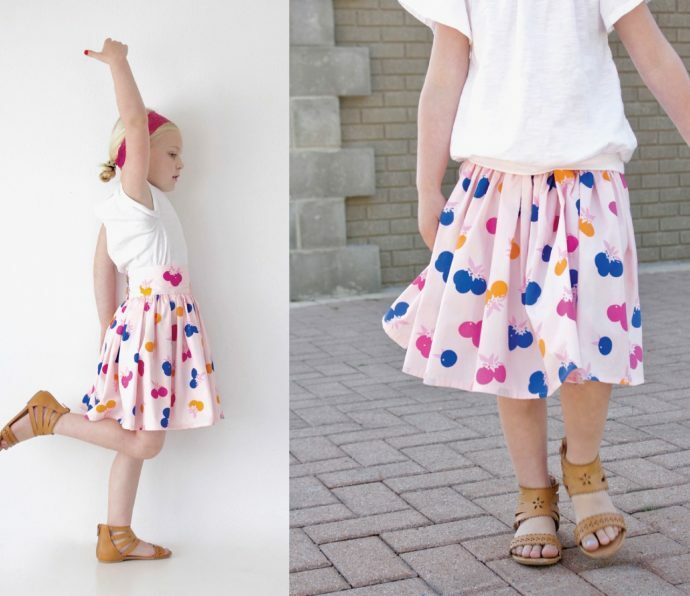 love the skirt, can’t wait to sew one for my granddaughter. Thanks for the great tutorial Dana. And of course the great skirt pattern! Fantastic tutorial. I love using plackets instead of zippers. I use them at necklines as well with ribbon ties. and buttons. this is just the best bit of information and so well written as always. I made my granddaughter a baby basket from your wonderful pattern a few years ago. the other day my daughter sent a photo of my 3 year old grandson who goes 70 miles/hour on his scooter with his stuffed bear in the baby basket. So cute. Thank you for all your creativity. Oh that makes me so happy to hear! I can just picture him whizzing by on his scooter with the basket 🙂 haha. Cute image! Oh Dana, this is awesome! 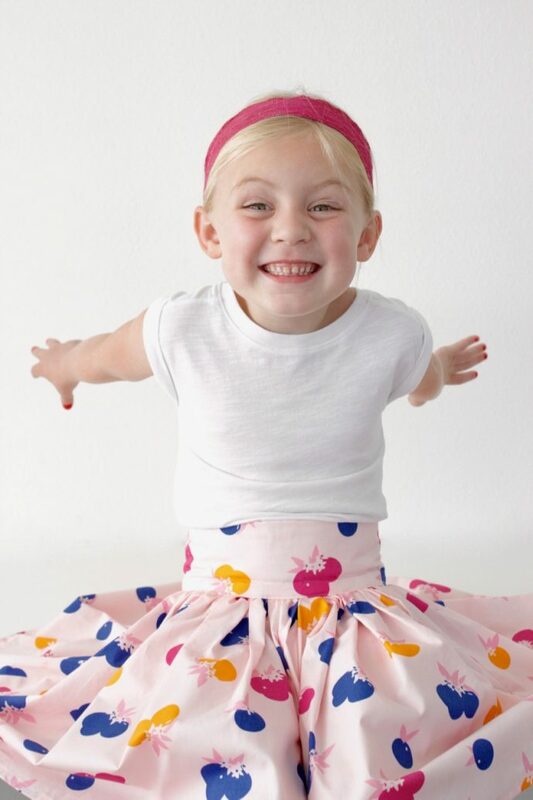 New skirt for my grand-girls coming right up! I’m new to sewing and was wondering how to make this type of closure at necklines. Thank you for the inspiration and helpful tutorial. I’m loving your site and YouTube videos! Yes, you could apply this to shirts also. I’ll have to do separate tutorial for that down the road. But just google it and you’ll find other tutorials out there! This make me soooo happy! I remember when you first came out with the pattern I asked you about making it with no front buttons. I am thrilled to have this updated tutorial! Yay! 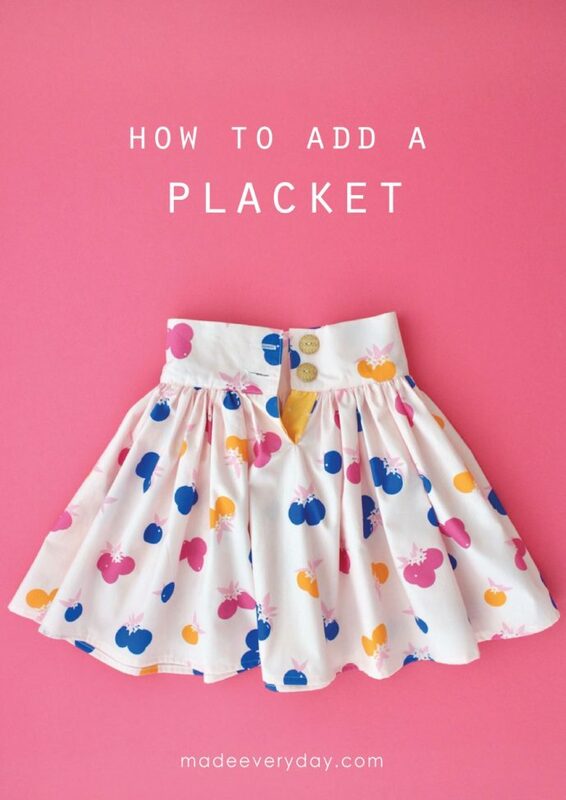 Can you make the placket into a pocket so it gets camouflage better if the hole needs to be bigger for an adult skirt? If so, can you tell us how? Thank you. I love this skirt, can’t wait to make 2 of them to start. I’ve made skirts following your other tutorials and they came out great. Thanks for all you do! Awesome. Yay! Thanks Barbara! Have fun sewing. The BLUSH Look book is here! What it’s like to clean up from a hurricane.